Space Keeper: Crisp and classy gameplay that pulls you in. Praise must be given to the developers for creating a product that is simple and attractive yet rewarding. This is a game that gives back to you the amount that you put into it. Set in the distant future against the backdrop of drifting galaxies and luminous planets, your job is to move a variety of renewable energy cells into brightly coloured wormholes where they are sent to Earth to be used as an energy source. 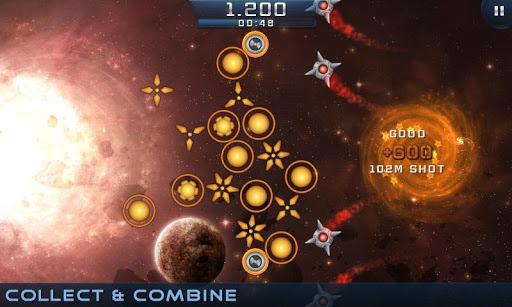 With the clock ticking, you aim to move as many as possible, avoiding obstacles and floating asteroids along the way and gaining bonus points for trickier manoeuvres. At first glance, you may think: how thrilling could sweeping things into a hole possibly be? Is this just some kind of franticmini-golf set in space? Happily, Space Keeper’s seemingly one-dimensional gameplay style is deceptive. The early levels subtly introduce different ways of scoring more points, such as joining cells into a lattice or bouncing them off multipliers but it is key to note that none of these techniques are mandatory. 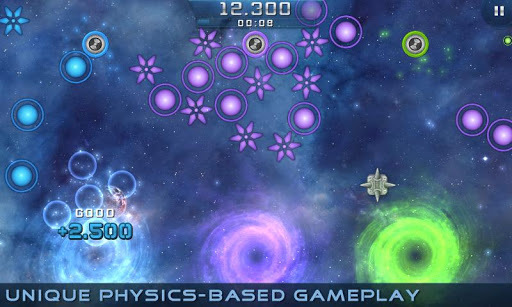 You could pass through all the levels in under an hour by doing little more than simply dragging the cells into the wormholes and if so, you would not notice much of a change in difficulty throughout. One of the main strengths of the game is that you are able to determine your own style of playing that is equally valid to any other. If you wish to chill out, then you can play at a slow, relaxed and uncomplicated pace, wallowing in the swirling colours and serene ambient soundtrack. Stubborn completionist? Then the game will put your timing, precision and co-ordination (You may need both hands!) to the test. 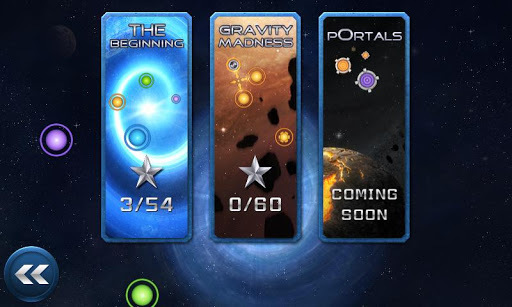 Space Keeper uses the familiar three-star point system, providing a genuine challenge if you want to grab all three stars in a level. Since doing this often allows little room for error, you will need to develop a strategy for each level, especially towards the latter stages. 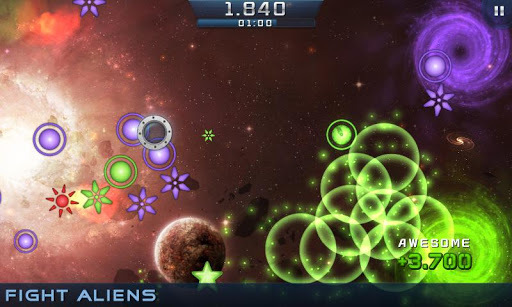 For example, you may choose to neglect joining cells together to make use of the multipliers or maybe manoeuvre cells with one hand while fending off asteroids with the other. It is this need for creativity that keeps the game fresh and makes success very satisfying. Even when you fail, it rarely feels as if the game has been unfair. Any frustration will be directed at yourself, for perhaps missing a shot or getting your tactics wrong. With such a compelling gameplay infrastructure, it then seems a shame that it ends rather quickly. Sure, it may take some time to get every star, but there is clearly potential for more ideas and levels to be added on. On the other hand, it may be for the best that the game does not risk getting stale and leaves us wanting more. Labelling Space Keeper as “just sweeping” is like calling Temple Run “just swiping”. Praise must be given to the developers for creating a product that is simple and attractive yet rewarding. This is a game that gives back to you the amount that you put into it.